"The International Criminal Court will be guided by the principle of territoriality." Associate professor of international law in Kyiv Shevchenko University Anton Korinevych says that the order of the President of Russia to refuse from the ratification of the Rome Statute of the International Criminal Court will not relieve Russian citizens from the responsibility for the crimes they committed on the territory of Ukraine. "From the point of view of international law Putin's move is null and void," Korinevych told a roundtable conference at Gorshenin Institute on 22 November. "Russia has not been not a party to the Rome Statute and had no obligations under it. It only confirmed it unwillingness to receive membership in the organization. However, it will not have any effect on the ICC powers to draw Russian citizens to criminal liability, not if they have committed crimes in the territory of Ukraine. The ICC shall be guided by the principle of territoriality," he said. Korinevych stressed that although Ukraine has not ratified the Rome Statute, it falls under ICC's jurisdiction. 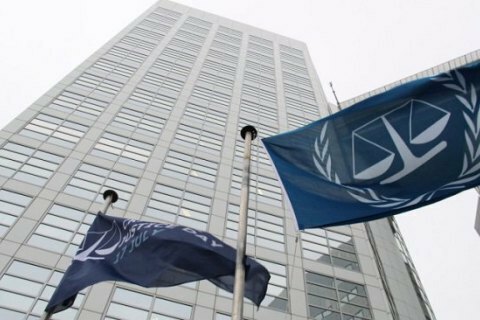 "Ukraine, not being a party to the Rome Statute, has recognized the jurisdiction of the International Criminal Court as legally binding for itself. Ukraine has filed two applications for recognition of the ICC's jurisdiction. One concerns the Euromaidan situation from 21 November 2013 to 22 February 2014. And the second concerns the situation in all territory of the country, starting from February 20, 2014 without a final date. This is the second time in the history of the ICC, when the state has filed an open-ended application. The first was the case of Palestine. Yes, we have not ratified the Rome Statute, but are obliged to fulfil its resolution. In fact, it is very close to ratification," the jurist said. Importantly, Korinevych stressed, is that according to the report of the ICC Prosecutor Russian citizens are not exempt from liability for the crimes committed on the territory of Crimea. "International law envisages the existence of international armed conflicts without the use of the armed forces in case of occupation. We read statements in the Russian media that there was no war [in Crimea], how can it be armed conflict? Yes, it can, says the Article 2 of all four Geneva conventions. What does this mean for Ukraine? Firstly, the recognition at the international level that Crimea is a part of Ukraine. Under the international law, the status of occupation means that [Ukraine] retains sovereignty over the territory. […] The second important point is the ICC will see whether the occupying authorities have committed crimes against humanity or war crimes in the territory of Crimea. This is a very positive thing, therefore, " Korinevych said.